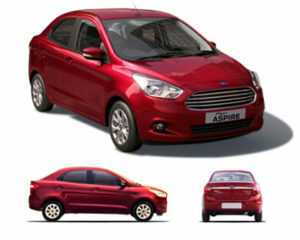 There are two engine options available, 1.2-litre petrol engine that produces about 75bhp of power and the other option is the 1.5-litre diesel engine. This mill produces about 65bhp of power. 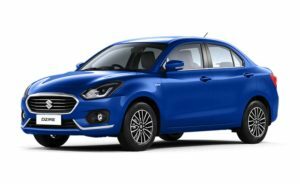 The petrol comes only with a CVT option and the diesel has a 5-speed manual.The New Micra will be available with a choice of two powertrains – a 1.2-litre petrol engine mated to X-Tronic CVT Automatic transmission, or a 1.5-litre diesel paired with a 5-speed manual transmission. 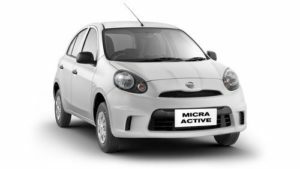 The petrol engine no longer gets the manual version as that has been made available on the Micra Active itself.The ARAI claimed figured for the Micra petrol is 19.03km/l, while that for diesel is 23.08 km/l. In the real world, the Micra petrol will return close to 12km/l in the city and 15km/l on the highway. On the other hand, the diesel should retun about 18km/l in the city and 20km/l on the highway. The quick responsive engine, and the CVT transmission with smooth changing of the speed and torques at the wheel ensure a pleasant experience of the drive. The minimum turning circle radius of 4.65m and the electric power-assisted rack and pinion steering system with steering-mounted controls for the music system ensure a comfortable driving experience at all road conditions. 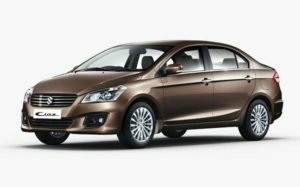 The suspension system has McPherson Struts at the front and torsion beam suspension at the rear designed to absorb the maximum of road shocks, keeping the occupants at great comfort. 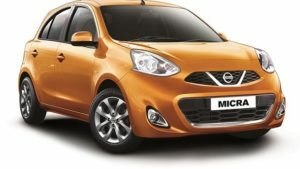 The Nissan Micra features ventilated discs at the front and drum brakes at the rear, and ABS with EBD and BA assist for safe handling on slippery surfaces. The safety feature of driver airbag is available in all variants and co-passenger airbag is available in the top variant only. 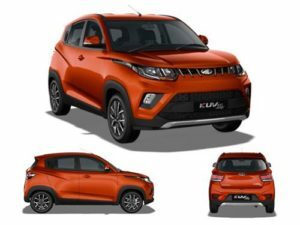 The other safety features offered include central locking, speed-sensing auto door lock, seat belt warning, low fuel warning and engine immobilizer for safety against theft attempts. The facelifted Nissan Micra is a step in the right direction. The Japanese automaker has worked on improving quite a few aspects of their entry level car, which has worked very well. The new Micra looks quite appealing both inside-out and comes loaded with a host of features. 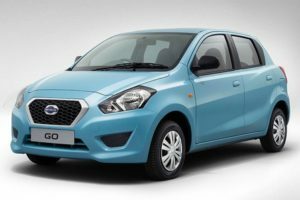 While the Nissan Micra is not very rich when it comes to dynamics, it does offer a good balance of ride and handling for city driving. The Micra has always been an excellent car for the urban run and the update only makes it better. 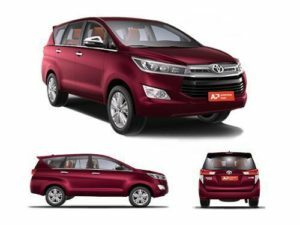 The New Toyota Innova Crysta 2017 has increased in size and is larger than the earlier vehicle. It is taller and wider too. The MUV looks striking with the newly styled grille. The headlamps are large and sleek ones. This time they get projector lamps and daytime running LEDs. The headlamps look like a part of the grille. The lower grille is a glossy black one. From the side, the Innova Crysta looks like a thorough MUV. It is boxy but Toyota has tried to keep it minimal. The galls are is smaller so the vehicle looks even bigger. The shoulder line rises towards the rear and though boxy, it looks stylish. It gets new 17-inch alloy wheels. The rear is also completely different this time. the rear end seems inspired from the Land Cruiser.The taillamps are fang shaped ones and look stylish. It looks like an SUV from the rear. Toyota has tried hard to conceal the Innova’s boxy look buy giving it a lot of styling cues from its SUVs. There are lots of storage bins inside, around 20 bottle holders! Every door can accommodate three 1-litre bottles each. There are two gloveboxes, the upper one is a cooled glovebox which can store two bottles. Also there are flip open cupholders for the front passenger and driver in front of the AC vents so you can keep your drinks chilled. Between the second row of seats there are two bottle holders that flip open, then there are these two trays that can hold a 00 ml bottle each. The last row also has cupholders and the ones on the right are chilled cupholders that can accommodate three of them. There is a good sense of space inside the cabin and at night the ambient lighting looks cool. The Innova Crysta 2017 gets a new 2.4-litre diesel engine which delivers 145bhp of power. This a more powerful engine than the earlier one and the NVH levels are also pretty low. There is always sufficient power available when required. One can drive easily in city without too many gearshifts and also on the highway, cruising comfortably. The torque spread is even. There is another engine in the Innova Crysta, which is a 2.8-litre engine and this comes mated only to a six-speed automatic gearbox. This engine churns out 177bhp of power. This engine has excellent performance and the gearshifts too are very smooth. The Innova Crysta also has a 2.7-litre petrol engine on offer with 164bhp of power. This engines come in both manual and automatic transmissions. The petrol is suitable if your city running is limited. The Toyota Innova has mostly been seen as a people mover but was ageing and it showed. The new model excels on several fronts, it certainly looks more pleasing to the eyes, the interior is vastly improved in both aesthetics and comfort, the feature list has soared with a ton of equipment, including safety tech and the engines now pack in quite the punch. With a splendid ride quality on offer and Toyota’s known reliability and quality, the new Innova Crysta might be expensive but makes for the perfect vehicle under Rs. 30 lakhs for the family.